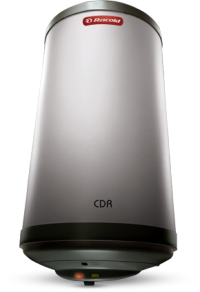 This Racold 35 Ltr CDR 35 (Vertical/horizontal) Storage Geyser water heater is Rust proof outer body prevents corrosion leaving no room for rust Ensures long life for the water heaters. It has a high-desity & thick PUF that ensures energy efficiency and reduced electricity bills. It's 4-star ratings for horizontal models. Its high pressure withstanding capacity ( 8 bar) makes it suitable for high - rise buildings and pressure pump applications. The super polymer coating ensures no contamination whatsoever, providing hygienic water supply for years. The Unique polymer protective coating technology for inner container resists corrosion from hard water. Heating element lasts longer with coating of magnesium anode. 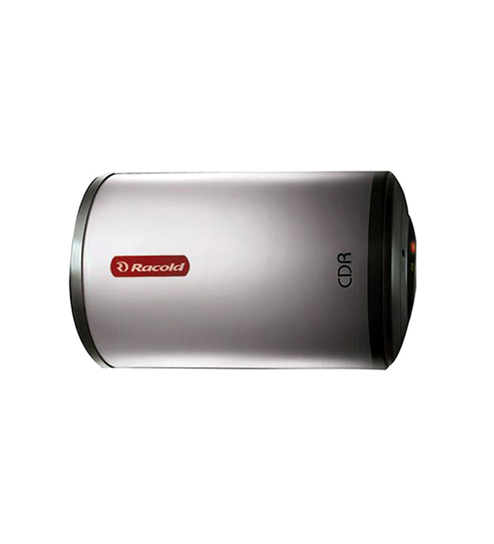 To Recieve updates and possible rewards for Racold CDR 35L (vertical) please sign in. To Recieve updates and possible rewards for Geyser/Water Heater please sign in.